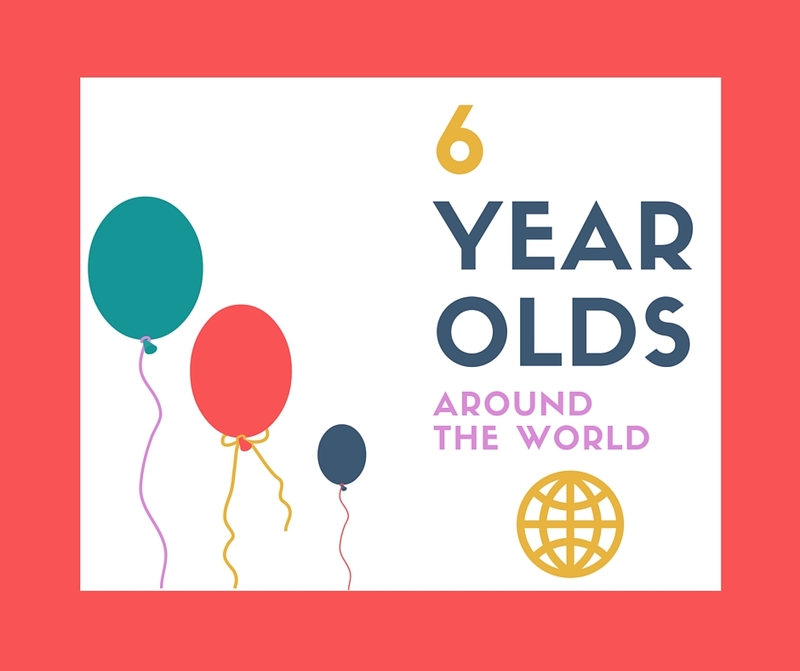 Our last instalment in this mini-series about being 6 years old today. If you have missed the other chapters, here is part 1, part 2, part 3. Today, we meet four more children born in 2010 and living in Japan, Sri Lanka, the U.S. and Northern Ireland. Melissa writes about her ballet lover: "She helps me to write words, sentences, and lists, as we work at it together. She knows many of the English digraphs, diphthongs, and phonemic rules, but she is not writing or reading independently for more than a couple words at a time. In other words, she won’t normally sit and read sentences, or long book pages on her own. She is eager to work together and show her knowledge to make something new. In terms of Japanese, she is quite able to write any number of words. With Japanese being the obvious environmental print outside of the house, she uses every opportunity to read hiragana, katakana, and learn more kanji. This is a girl who is very proud to be bilingual." Orana adds that she loves listening to him count backwards from 20 in English! Malu says: "Preschool is absolutely the norm here. Most parents start them off starting at 9 months old. Most preschools offer different schedules to fit parents needs. You can take them Tuesdays and Thursdays (like we do), Monday, Wednesday, Friday or all 5 days. There places that do 1/2 days and others that have full days. These work best for working parents as they can drop off as early as 7am and pick up until 6pm." Crystal writes about school in Northern Ireland: "The compulsory school age in Northern Ireland is the youngest in the world at the age of 4. Nursery school (the equivalent of Kindergarten) starts from as young as 2 years 10 months! School would run from 9:00 am until 3:00pm, with 15 minute recess and an hour for lunch (only 20 minutes to eat or you lose out, and the rest of the time in the school yard. No one seems to go home for lunch here). There’s nightly homework within 6 weeks of starting school at the age of 4. The kids have 1 week off at the end of October, 2 weeks at Christmas, 1 week in March, 1 week at Easter, and 8 weeks at summer (July/August), although not all schools have the same time period off. However, due to the early start in school, the pressures of it, your life decided upon a test you take at the age of 11, and many other reasons, we’re homeschooling." I hope you have enjoyed reading this as much as I have enjoyed getting to know these wonderful children.